We are excited to introduce you to Katleen! This lovely lady enjoys life with her sweet family, fashion, home decor and sharing glimpses of her life through her photos that you can find on Instagram. We are excited to announce that she is joining in as a contributor for Babiekins Magazine blog. We asked Katleen a few questions and here are her answers. I’m Katleen Baum, on IG people know me as Kowaleen. I’m the mom of 3 littles, 1 girl Lilou (3.5) and 2 boys Jerome (1.5) and Remi (3 months). I work as a teacher for “difficult” kids, ages 15-21. We live near Antwerp in Belgium. I really love taking pics of our babies and I adore fashion and design. What is something you simply can’t live without? The obvious answer would of course be my kids and husband, but apart from that, I can’t live without my iphone, or at least I have this idea. It seems like my whole life is on it. So cliché but my twin sister and I spent hours playing with our Barbie dolls. If you could be a superhero, what power would you posses? I would choose the power to keep everyone healthy. Health is the most important thing. On a more superficial note, I would like to posess the power to make everything tidy and clean in an instant. I’m a neat freak. If you had an open day to do whatever you wanted with your kiddos, what would you do? This is easy. I would take my family to the South of France, where we spend a lot of our holidays. We would play outside in the sun, we all LOVE being outdoors. I find a lot of inspiration on IG. This is for me, my kids and my interior. At this moment, I love everything black and white. Fashionwise I like to keep things simple, being a mommy on the go. Skinnies, stripes, flats or booties, glammed up with a designer accessory. Think Parisian chic. Favorite designers at the moment. 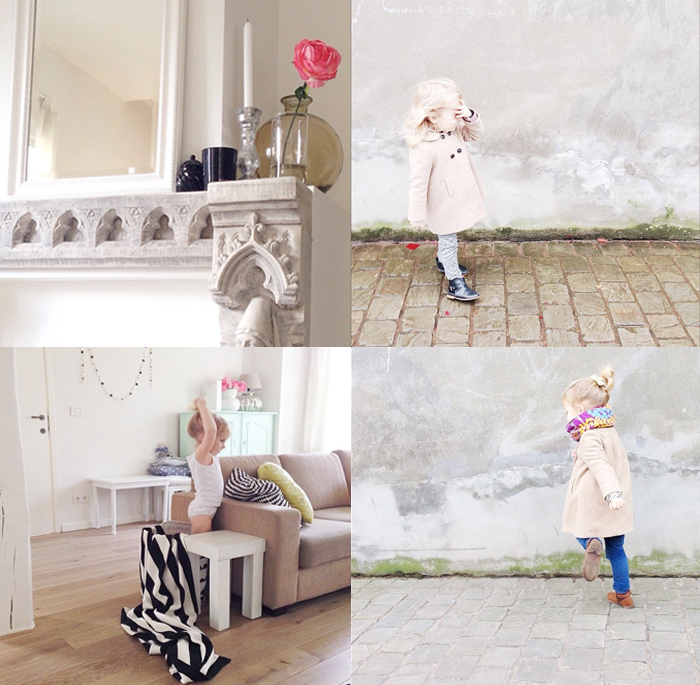 Kids: Mini Rodini, Bobo Choses, Nununu, Soft Gallery and Beauloves. Thank you Katleen! We can’t wait to start reading your posts.